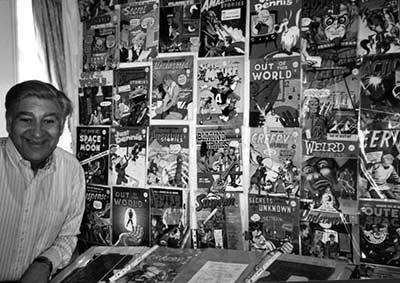 From the early 1960’s until about the early 1990’s, a British publisher called Alan Class published thousands of black and white reprint comics which featured material from Atlas, Marvel, ACG, Charlton, Archie and occasionally other American publishers, including a relatively high proportion of work by Kirby & Ditko. Although on low quality paper, they provide an opportunity to obtain stories that can be difficult and expensive to get as originals and often haven’t been reprinted elsewhere. They are becoming more uncommon and although traditionally they have not been expensive, they are now attracting more collector interest. Prices in general are rising, especially for earlier pre-decimal issues which are scarcer. We are honoured that Alan Class has chosen 30th Century Comics to be the official outlet for both the file copies of his own publications from his archives and his Printing Plate Sets. You can find all the listings for these here. Each comic from the Alan Class Private Collection comes with a certificate of authenticity signed by Alan himself. 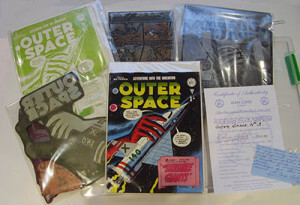 The Alan Class Printing Plate Sets come with a copy of the comic, the actual lead plates which were used in printing the comic’s cover, and a signed certificate of Authenticity from Alan Class; many include handwritten annotations from Alan as well. Some sets also include extras such as interior printer’s plates, colour proofs, or colour guides. Each set is a unique item, never to be duplicated, and is your chance to own a literal piece of comics history. We have made a short video showing a Printing Plate Set and explaining the content. Alan preparing to sign a comic. 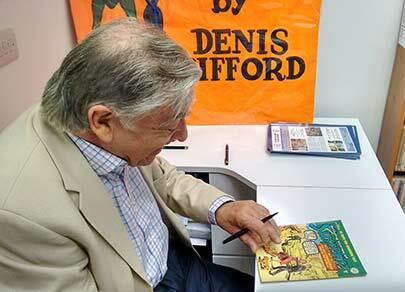 We are also lucky to have Alan Class come to our shop for occasional signings. The last signing (his third) was on Sunday 7th June 2015. You can see more photos from the event and a video interview here. Whenever we list a new selection of Alan Class stock, we are always asked which issues reprint which material, since the covers don’t really provide much indication, due to the policy of mixing material across issues and titles in a wonderfully random and esoteric manner. We reasoned that no one else was ever going to provide a guide to them and their contents, so we thought we’d do it. Click here to view details of all the issues we’ve ever had in stock. It is by no means a comprehensive list, and is very much a work in progress. Please note that it is also NOT a list of issues we currently have in stock, although we may have many of them. You need to check that with the Alan Class Reprints page in our catalogue. As we get items into stock, we will add the information to this guide, (but we won’t delete them when they’re sold, since the purpose of this guide is to provide information rather than be a stock list). On that note, we of course welcome additions and corrections if you have any knowledge of this material.